This is an odd one! While it is clearly a Challenger, it is not stamped CHALLENGER. 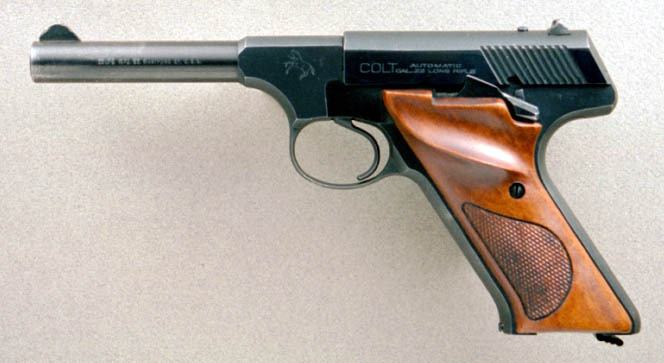 Trigger type and walnut grips such as did not exist in 1955, the manufacture date suggested by the serial number. Bought from a former Colt employee. Factory letter indicates "No Record" of this serial number.